Osteopathy is a recognised primary healthcare system of diagnosis, treatment, prevention and rehabilitation of musclo-skeletal problems.It is used worldwide to compliment mainstream or alternative medicine for patients with problems of the spine, peripheral joints, ligaments or muscles. Osteopathy is a natural medicine that approaches patients holistically. An osteopath will consider a patient’s lifestyle, medical history, diet and stress levels, and assess the entire patient in relation to their presenting symptom. In addition to using their hands to feel the body’s tissues, enabling them to diagnose and treat sore muscles and painful joints. Other appointment times may be available, please see my online booking system for availability. 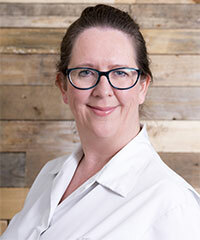 Suzanne uses a secure online booking system to allow you to quickly and easily book an initial osteopathy assessment of follow-up treatment.